[Sword of Azure Guidance]This title is an unofficial, amateur translation. After leaving her friends and returning to where she belongs, Lecia is assigned a grand responsibility by her father. Though plagued with doubt and wracked with worry, it proves to be an experience of profound personal growth. May this white-winged defender of the skies fly ever onward. Twilight Blade Massive Wind damage to a foe. Remove 1 buff on all foes. ⇧ Lvl 75This skill is enhanced at level 75. Restore 10% of an ally's HP (Healing cap: 1000) and remove 1 debuff. On recast: Consume all Order stacks and provide an effect depending on Order type. Skill cooldown set to 3 turns. Chance to remove 1 debuff from Lecia at the start of each turn. Requires completing Chapter 75 Story - Trial of Ice and Wind to unlock her first Fate Episode. 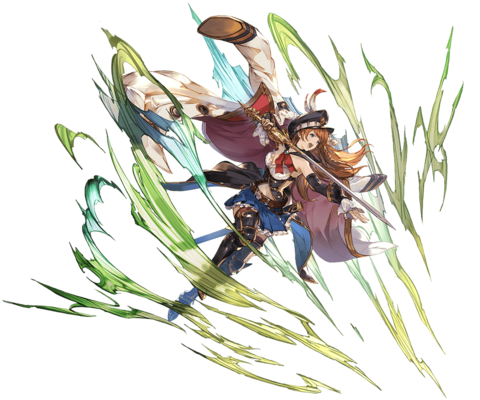 -enhanced Charge Attack to defeat the target before he can use his Overdrive special to one-shot Lecia. is unique and stacks multiplicatively with all other buffs. equals 26.6% at 100% HP and increases linearly up to ~80% at 0% HP. 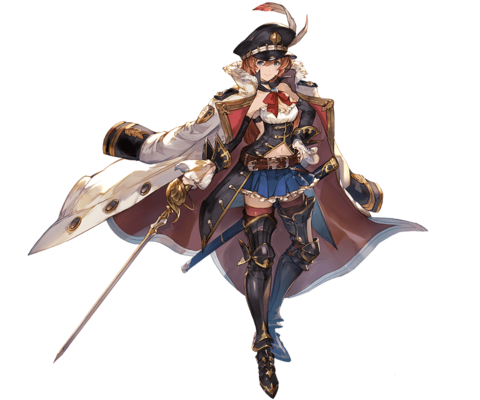 Can't be removed is active, Lecia gains 1 Order stack depending on the type of skill an ally uses. 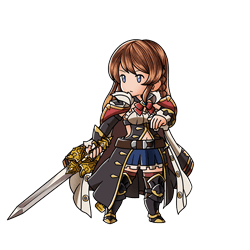 Lecia also gains stacks from her own skills. 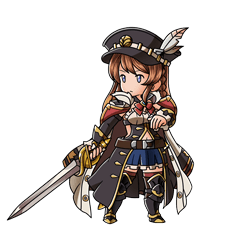 After Lecia gains 1 stack of a specific Order type, she cannot gain stacks for any other Order type until her current stacks are consumed. Orders stack up to 5 times. Buffs gained or debuffs inflicted depend on the number of stacks consumed. A skill's Order type is determined by its icon border color. Strength: 100% chance of dealing 20% more damage..
Stacking: Single on all foes. Can't be removed Restore all allies' HP (Healing cap: 750). Can't be removed Restore all allies' HP (Healing cap: 1000) and remove 1 debuff. Can't be removed Restore all allies' HP (Healing cap: 1250) and remove 1 debuff. effect inflicted by Debuff Orders stack with Miserable Mist and other similar dual-sided debuffs. Lecia must have at least one stack of an order. It does not proc off a 0-stack order (gray icon). Each rank increases the chance an order is increased by 1 stack at turn end. This page was last modified on 17 March 2019, at 22:59.